A Scottsdale Institution since 1971, E.D. Marshall Jewelers offers Arizona residents and visitors an exceptional selection of timepieces and stunning jewelry. 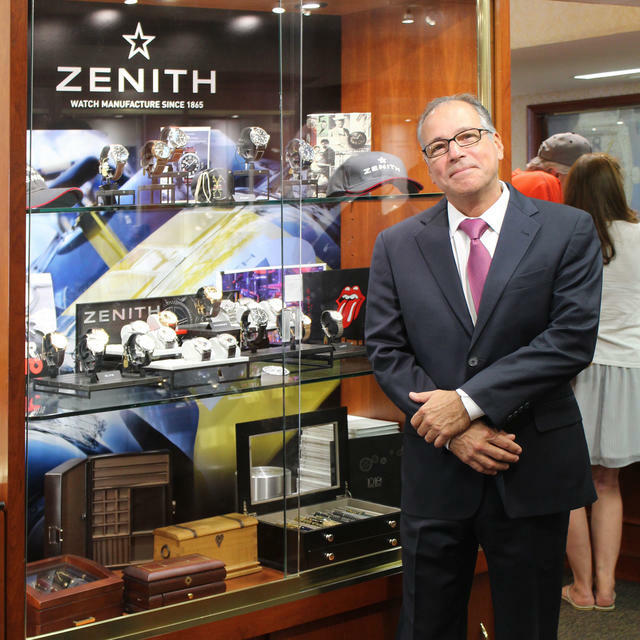 Owner and company founder Ed Marshall continues to direct the business each day, with the support of family members and a dedicated staff, who have a shared passion for fine jewelry and all things horological. For the past 22 years, E.D. Marshall has maintained an expansive 8,000-square-foot showroom along North Scottsdale Road. The showroom is warm and inviting, with its traditional-inspired décor. The neutral tones and gold accents highlight the extraordinary treasures found within the cherry wood showcases. The lush environment encourages clients to slow down and peruse the inventory or take a moment to relax in the comfortable seating area. E.D. Marshall Jewelers offers 21 of the most revered names in watchmaking. The clients greatly appreciate the depth and diversity of inventory in each of the brands represented. E.D. Marshall’s retail philosophy has been built upon the foundation of having an enviable expanse of timepieces to see, touch and experience. This practice has earned E.D. Marshall the recognition of a true haven for watch enthusiasts. Among the celebrated brands available are Ulysse Nardin, Piaget, Blancpain, Glashütte Original, Franck Muller, Zenith, Girard-Perregaux and more. Valued E.D. Marshall team member and watch buyer, Glen Edwards, expressed that shopping trends veer towards Ulysse Nardin as one of the most sought-after brands in the Scottsdale market. “Our watch savvy customers are drawn to Ulysse Nardin timepieces for their quality, style, function, diversity of complications and innovations.” Other top-selling brands are Zenith, Louis Moinet, Ball, Montblanc, Maurice Lacroix, Clerc, Oris and Longines. In line with E.D. Marshall’s penchant for excellence in customer care, its comprehensive service department provides a broad range of watch repair and restoration services for most mechanical Swiss and American pocket watches as well. Ed shared, “Our success is due to three major aspects: a knowledgeable and supportive staff , an extensive inventory and a friendly atmosphere.” This inviting atmosphere is the result of the dedicated team of more than 35 professionals, all whom are expertly trained in the realm of luxury timepieces. 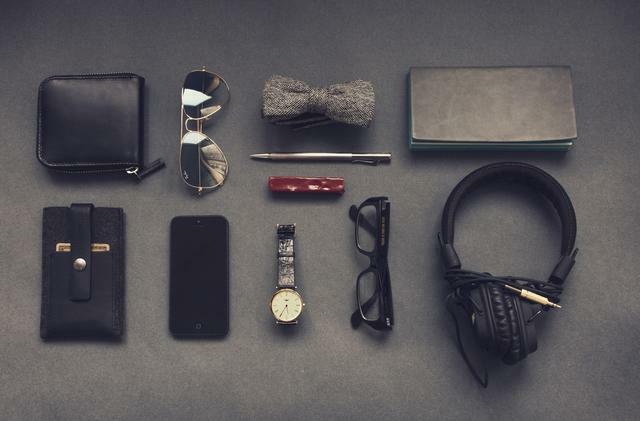 Their knowledge of technical innovations, product releases and trends are attained through the careful study of horological journals, enthusiast magazines and of course, the worldwide web. Attendance at trade exhibitions and regular communication with retailers across the country provides valuable current market knowledge. In addition, brand representatives spend time at the store to share nuances of their companies and merchandise in an informal training environment. The representatives frequently spend the day directly interacting with the clients and sales associates. To complement its watch offerings, E.D. Marshall offers jewelry designed and handcrafted in house, as well as luxury jewelry collections of Norman Covan, Lika Behar, Nanis and Harry Kotlar Diamonds. Gabriel & Co. is a new addition to the bridal boutique along with Amavida by Gabriel & Co., which specializes in traditional elegance. The retailer offers both new and pre-owned luxury pens from a range of leading manufacturers. Montblanc fine writing instruments have gained quite a following among the store’s clientele who appreciate both practical and sentimental value. E.D. Marshall is Arizona’s largest and oldest buyer of estate jewelry. In fact, antique and vintage jewelry represents a significant percentage of E.D. Marshall’s jewelry business, both in buying from and selling to private clients. The company operates a growing division of private buying locations throughout Arizona. Through the course of each year, E.D. Marshall hosts a number of special events that appeal to the local collector community. It’s Watchtoberfest, a premier celebration of Swiss and German watchmaking, has come to be regarded as a Scottsdale tradition. Watchtoberfest 2016’s guests mingled with industry leaders, learning about the newest and greatest in watchmaking, while enjoying the festive atmosphere. The 14th annual E.D. Marshall Jewelers Watchtoberfest will take place in October 2017. Philanthropic and civic activity also play a significant role in E.D. Marshall’s company practices, with regular support of the American Heart Association, the Kidney Foundation, the Boys and Girls Club, the American Cancer Society, St. Mary’s Food Bank, the Trends Charitable Fund and the Arizona Humane Society. With an impressive selection of the most esteemed Swiss timepieces, a heartfelt dedication to customer care, and the support of the greater Scottsdale community, it is easy to see how E.D. Marshall Jewelers has earned its reputation for excellence. 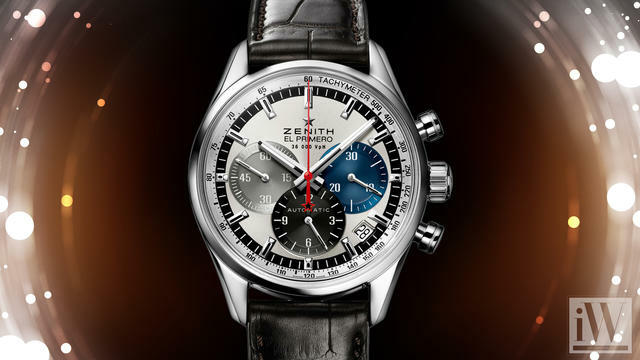 iW Magazine's Watch of the Day is the Zenith El Primero Chronomaster 36,000 VPH.